Opelousas High School may not be known for their football program as the team has not made a playoff appearance for over ten years, but it doesn’t mean that they have a lack of football players. Players like Devery Henderson have gone through the program and the Tigers have themselves their best recruit since Henderson was playing in the early 2000’s. This player is Marlon Young. Young is one of the best defensive players in the entire state. At 6-2, 245, Young runs like he is 200 pounds. Marlon Young is very athletic and has great speed for a guy of his size. What also makes Young special is that he can lineup almost anywhere on the defensive front. He can play defensive end, outside linebacker, and even inside linebacker. He can do it all and could even lineup at fullback and be a main factor running the football when he needs to. Not only does Marlon Young have the physicality and the talent to be a big impact player, but he also has the football smarts, leadership, and heart to become a big star in the making. A lot of people have not heard about Marlon Young because he does play for a program that has not won a lot of games over the last decade, but for the scouts that go and see this guy play, they realize how special he really is as a football player. Our recruiting expert Lee Brecheen has seen Young play and truly believes that he could be the biggest DI sleeper on the defensive side of the football in the state. Marlon Young has had a lot of offers, but his focus is on this season and helping his team make the playoffs before he really makes a college decision. So far, the Tigers, under first year Head Coach Doug Guillory, have done a great job as the team has already matched their total win total from last season with two wins already. Also, having a big time playmaker like Young also really helps. Anytime, there is a guy on defense that is almost 250 pounds, has great football instincts, 4.60/40 speed, ability to rush the passer, stop the run, and still is motivated to be better, then, the team just has to get better. In today’s recruit spotlight, we caught up with the senior star Opelousas defender as he talked about his high school career, the great start to this season, the player that he models his game after, and so much more! I have no current top schools as of right now. 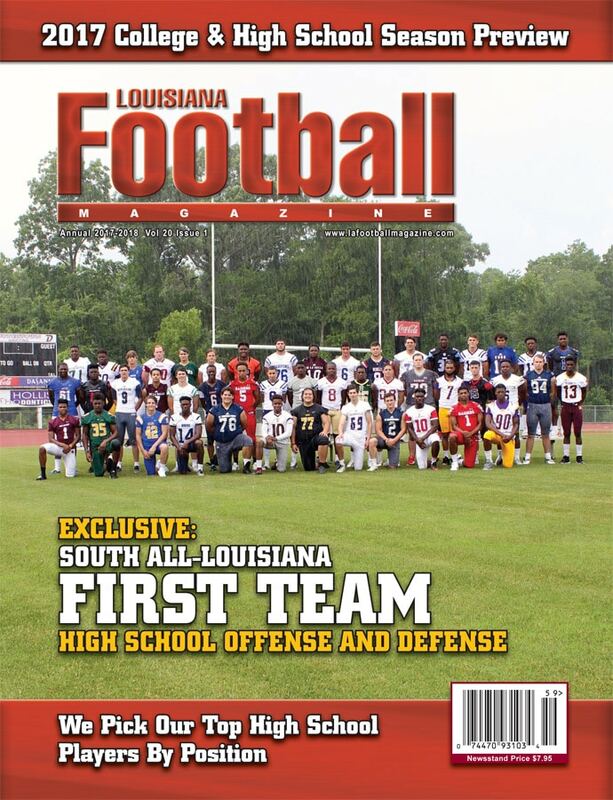 LAFM: You are on the cover of our South Louisiana edition of the magazine and made our All-South Louisiana team. What does it mean for you to be recognized as one of the best players in the state heading into your senior season? It’s a blessing, man! I’ve been working hard since I was a kid to be at the level I am now. Nobody, but God got me here. I would say my speed off the edge, my power, and my mind. I tend to out think my opponents. I need to improve on my hands coming off the ball and my flexibility. 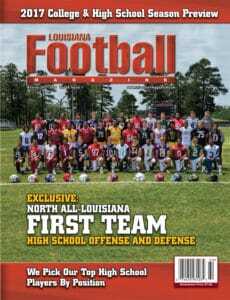 LAFM: It has been a long time since Opelousas has been in the playoffs. I believe it has been over 10 years. What would it mean for this school community to see their team back in the playoffs? It would be amazing, man. All my high school years, I’ve been hearing how we were never going to the playoffs and how we are always losing games, but this year that comes to a stop. We’ve been working hard and winning games so this season will be the year we prove the doubters wrong as a team. My biggest stats and accomplishments I would say is starting all ten games as a freshman, being a three time 1st Team All-District selection, a 1st Team All-Parish player, an All-State selection and gaining offers from many schools. I look at the academics first and the surroundings of the school and if I could be great as a student-athlete there. I pay attention to how the coaches coach and if I’d be a great fit in that environment. LAFM: Last season, the team won two total games over the course of the season. In the first three games of this season, the team has already matched the win total of last season and is starting off strong. What do you believe is the main cause of the big turnaround this year? The main cause of the big turn around, in all honesty, is for two reasons. We have a great coach in Coach Doug Guillory. I can’t even put into words how much of a great coach he is, and the second reason is for our fallen brother Dashaun Foster (DFost). He passed away this summer, and we wanted to dedicate this season to him because he was like my little brother. He was a hard worker and gave everything he had in competing. He wanted to win and that’s what we planned to do this season. LAFM: Our recruiting expert Lee Brecheen says that you are the best recruit to come out of Opelousas since Devery Henderson and that you remind him of Kendall Beckwith. What does that comparison mean to you and who are some guys that you try to model your game after? I was shocked when I read that. This is a small city and not many make it out of here, but it’s a blessing to be in this position. My comparison to those guys are an honor to me. They are both phenomenal ball players. 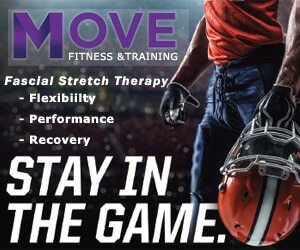 I tend to model my game after Ray Lewis (Miami/Baltimore Ravens), J.J. Watt (Wisconsin/Houston Texans), and Von Miller (Texas A&M/Denver Broncos). My best game is kind of hard to choose because I’ve had double digit tackles in those games. If I had to pick out of those games, it’d be against Ville Platte and Northside High. Those are my best games because they couldn’t stop me in the backfield. Every play, I made it into the backfield and made plays. I forced turnovers and stopped the run, which made them throw the ball and let me go have fun and make sacks like I’m trained to do. These games occurred in my sophomore and junior year. I like to train, study, and play drums. 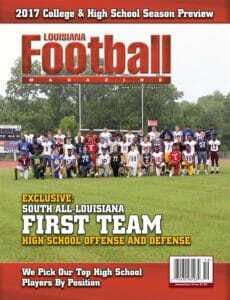 My goal is to break the tackle record at Opelousas High School and have 20+ sacks by the end of the season. LAFM: You are a hybrid between an outside linebacker and a defensive end. Is there a position that you find more favorable than the other or do you find both positions the same? I love defensive end a bit more because I love chasing the quarterback and coming out of my three point stance on the edge. First, I want to thank God for his many blessings. I definitely want to thank Coach Quentin Payne for believing in me as a kid and making me come out early and start putting the work in to get me where I am now. I want to thank Coach Dwight Collins for believing in me and pushing me to be great and helping me get better. I want to thank my parents and family for being so supportive and keeping my head on straight as well as Coach Doug Guillory for his love and passion for me and the team for turning around our program. Also, a special thank you to my older brother Marvin Young for being a role model and leading me as a child. Thank you to the players of the OHS football players of 2004-2006. Y’all really inspired me to be where I am. I love y’all man. Thanks to everyone who supported me on this journey. 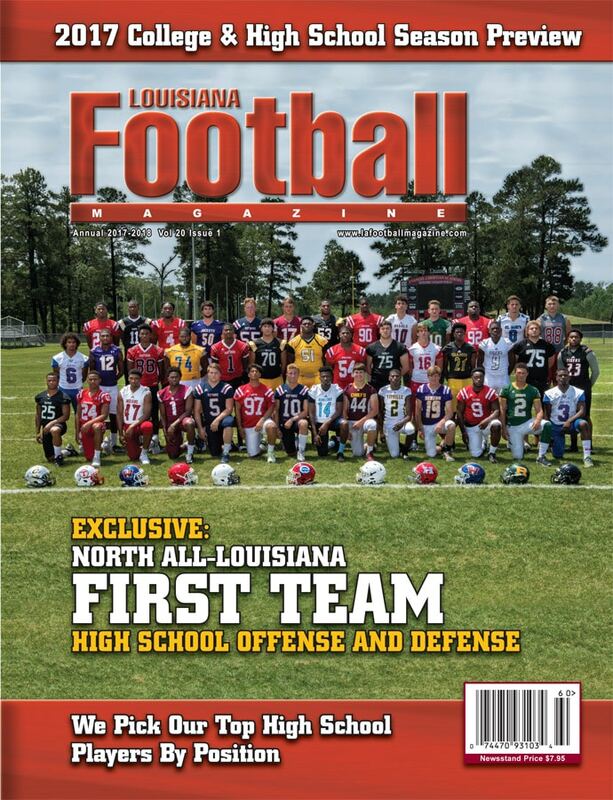 LAFM: As a leader on this football team, what is your message to the Opelousas team and fans for the rest of the year? To my team, stay strong, make memories, and let’s keep working even after football is over. Keep striving in life to be better and always give your best. I love y’all. To the fans, keep Dfost’s memory alive, love each other, and always support your Opelousas High Tigers.